Are you looking for one exercise that will add a significant amount of power to your punches after each and every practice session? 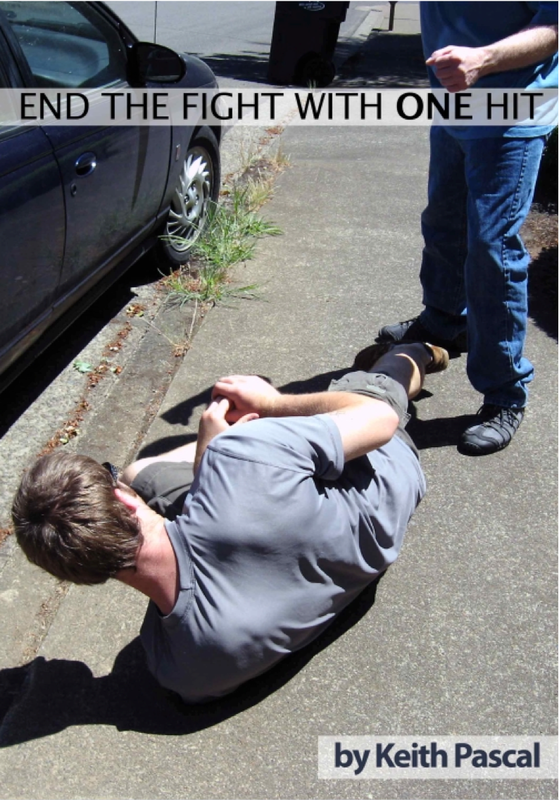 This may look similar to other punching exercises, but it’s not. Follow the instructions to the letter, and you’ll see a difference after your first practice session. And YES, it does come with a money-back guarantee. This is not a complete punching system, just one set of exercises to help you to get powerful punches from a short, non-telegraphed distance. No long and drawn out fights here — if someone attacks you, you want it over quickly. This means that you can’t rely on the same ol’ same ol’ to help you end the fight. Right? You need tactics and techniques that work. Period. As usual, this ebook (package) comes with a money-back, satisfaction assured, guarantee. Now, we’re proud to offer it as a stand alone offer … or with End The Fight, for combined savings. If you want to end all martial-arts-related fears … the fear of fighting, the fear of hurting others, the fear of specific weapons, and even fears in a martial arts dojo … then you NEED this ebook and its bonuses. First came the punch articles. Next, we saw The Punch Papers v1.0. In the mid 2000s, version 2.0 hit the Net. 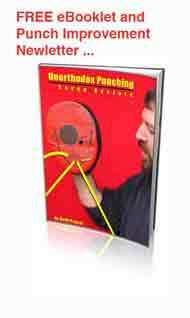 Now, photos have been added, over 20 new lessons and drills, and finally we have The Punch eCourse (see below). The Punch Papers, however, is now out of print. It’s amazing how many advanced martial artists could improve their punches and strikes with a simple adjustment of elbow position, timing, etc. Whether you’re a novice, an intermediate practitioner, or an advanced fighter, you need these lessons, to make a difference AND to incorporate the rest of your course into the way you punch. Have you ever dreamt of developing incredible punch speed? Super speed? Each and every lesson in Volume 2 will get you punching significantly faster … and some will give you a power boost, as well. If you really want to be faster, then you’ll have to go beyond the dojo or boxing ring. Take your training to the next level and control your improvement…. These exercises are different. They are better. Period. What — you aren’t a bully? Then you’ll have to punch while DEFENDING yourself. This volume teaches you a more efficient way of responding to the attacks of others. After all, you want your improved punches to work, right? How would you like to be able to respond to a punch with a better punch of your own? If you have ever had problems getting in on the enemy with your punches, then you may need some better, more effective strategies. While some may think that all you need is speed and power, the more advanced fighters know that there’s a lot more to winning a fight than just those two variables. Here’s the way to use your newfound speed punches and power hits to win … to survive. The only way to get some of these bonuses (there are actually more than 3) is to order the entire set. Did you know that so far, 99% of the eCourse purchasers own the entire set?